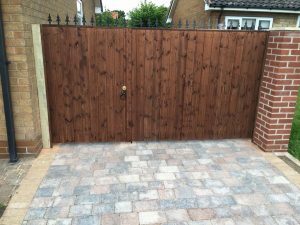 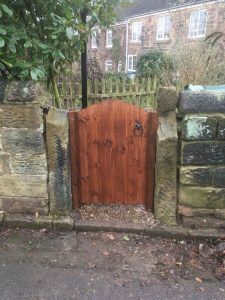 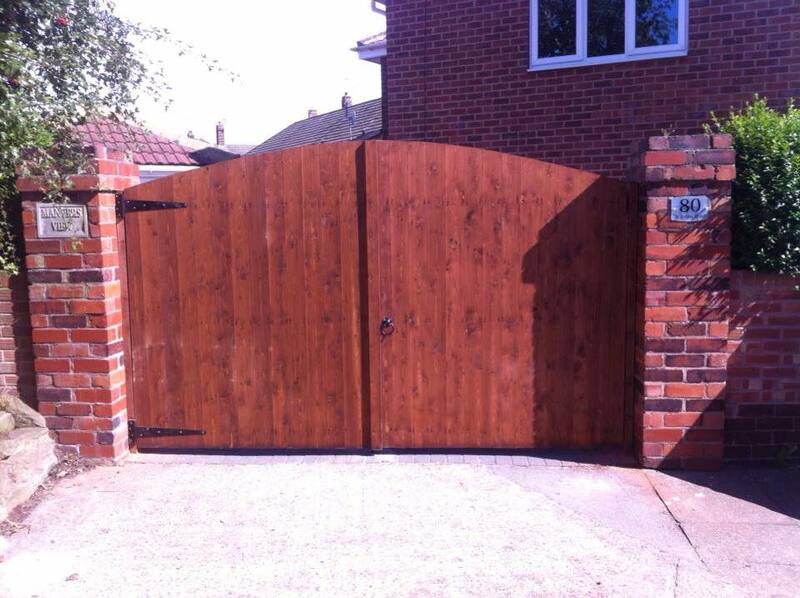 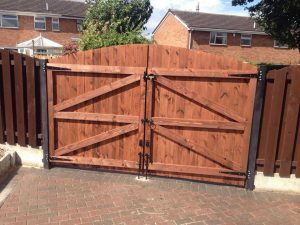 Our bespoke planed tongue and grove wood gates available to be made to measure and come in a variety of styles including wrought iron toppers and several fittings such as drop bolts, locks and latches. They come in a choice of two colours which are forest green or medium brown oak. 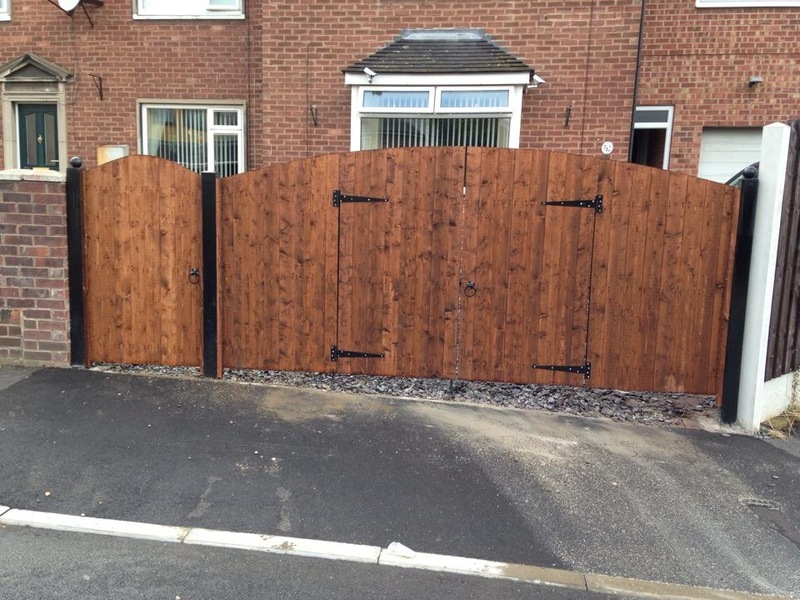 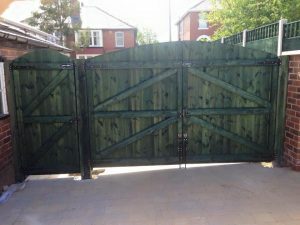 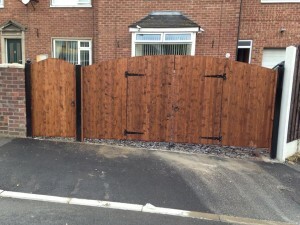 Below are some examples of our work but we can offer a variety of gates, so please don’t hesitate to get in touch.